For the budget conscious bride, I’m now offering a new service called “Buckets & Bouquets”. There’s no minimum spend (except that you need to order the main bridal party flowers from me including the bride bouquet, bridesmaid bouquets and buttonholes). It is a first come first served service and only one order will be accepted for each available date. Collection is from our studio in Haywards Heath although local delivery within 10 miles may be available upon request for a nominal charge. 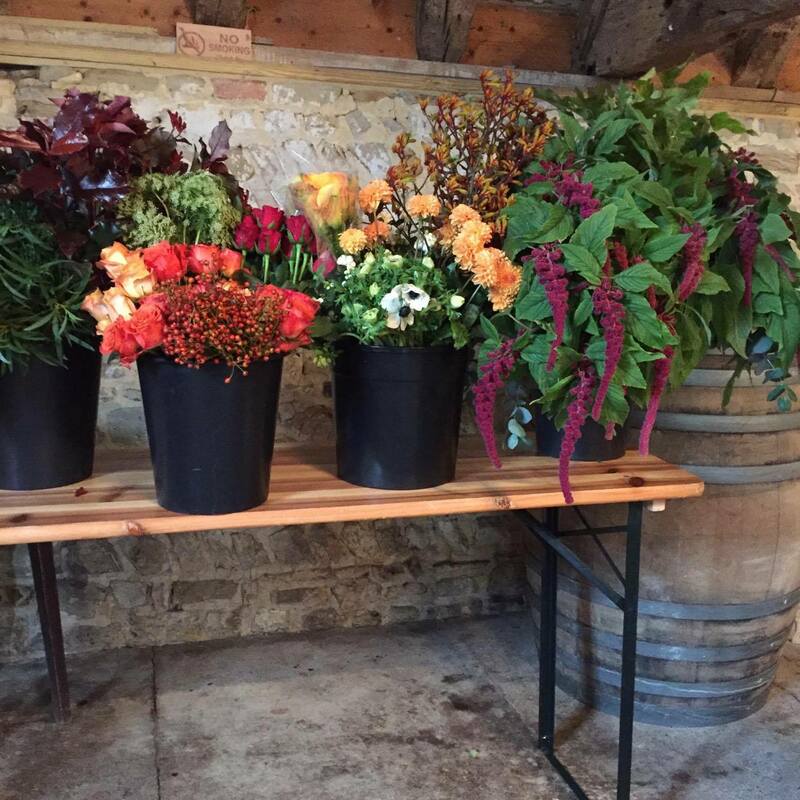 Alternatively, if you want to create ALL your wedding flowers, why not try our Bridal Workshop, where you get to learn how to create the perfect hand-tied bouquet for you and your bridesmaids, buttonholes and centrepieces. Here’s Abi who came on the workshop back in June. What a great job she did creating her perfect wildflower bouquet this summer.